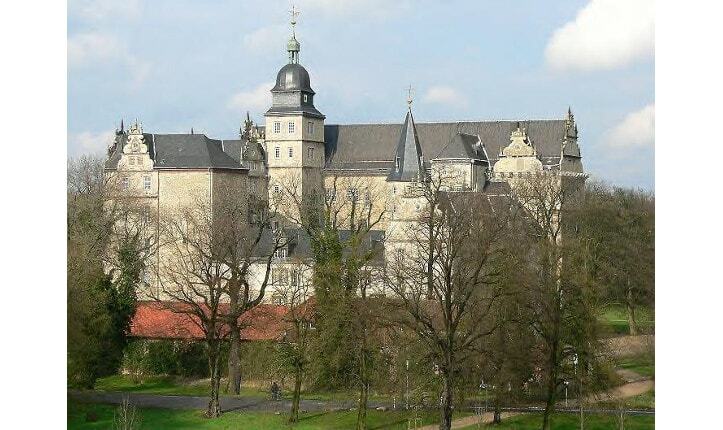 The Wolfsburg is medieval lowland and water castle in North Germany that was first mentioned in the records in 1302, but has since been turned into a Renaissance schloss or palace. It is located in eastern Lower Saxony in the town of Wolfsburg named after it and in whose possession it has been since 1961. The Wolfsburg developed from a tower house on the River Aller into a water castle with the character of a fortification. In the 17th century it was turned into a representative, but nevertheless defensible palace that was the northernmost example of the Weser Renaissance style.